For a couple of years now, we’ve been doing monthly puzzle-themed hashtag games with our pals at Penny Dell Puzzles. In fact, just last week, we collected and shared all of the responses to our #PennyDellPuzzleMyth hashtag game that combined the names of puzzles from Penny Press and Dell Magazines with various characters and storylines from famous mythical traditions, like Greek, Roman, and Norse mythology. We’re far from the only ones who play such games online. Hashtag games or hashtag wars are an immensely popular pastime on Twitter, often encouraged by comedy bloggers or pun-based game companies like our friends at Galactic Sneeze, who created Schmovie. But, when it comes to hashtag games, most if not all of them can be traced back to one interactive television show: @midnight with Chris Hardwick. This Comedy Central show has aired four nights a week for four years (originally at midnight, as the name suggests, then later on at 11:30 pm), and every night, they’ve offered up a new hashtag war to challenge and entertain with. Not only do the comedians on the show strut their punny stuff during the game, but anyone on Twitter can contribute their best efforts at games like #CarSongs or #AddALetterRuinAMovie. And each show, one of the submissions from those Twitter users is chosen as Tweet of the Day and shared on national television. Which is pretty cool. 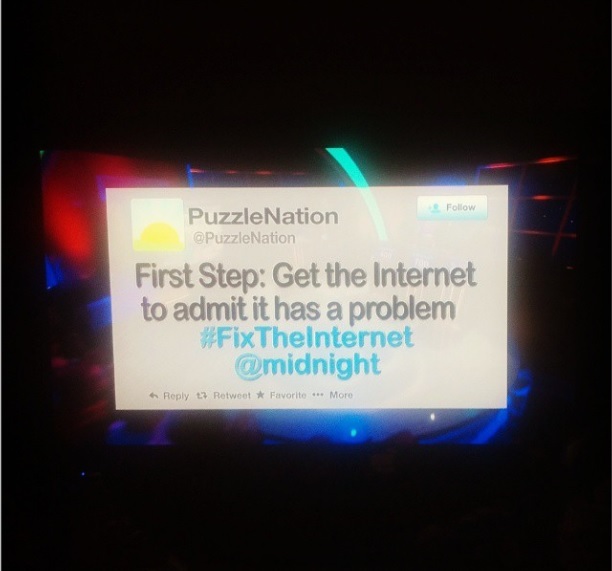 Not to brag, but PuzzleNation has won Tweet of the Day not once, but twice, back when we used to participate in hashtag wars on a nightly basis. And although we don’t indulge our hashtag urges more than once a month, we’re grateful for @midnight, not only for their creativity and humor, but for inspiring us to never stop finding fun, puzzly ways to engage our audience. 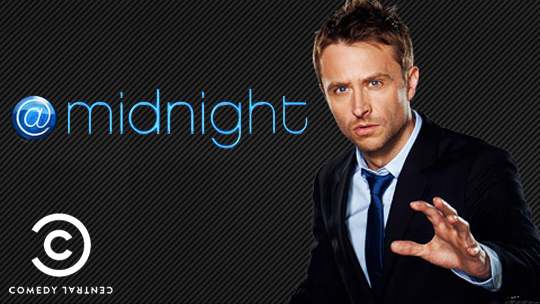 Sadly, after four years on the air, @midnight will wrap up their impressive run in the next few weeks. I’m sad to see the show go, because many of my favorite lesser-known comedians got a lot of air time on the show and got to show off their hilarious punny chops. The show comes to an end on its 600th episode, and it will be missed. Thank you to the cast, crew, and host Chris Hardwick for all their hard work, all their silliness, and all their wit.